Demonstrate knowledge of how to accurately gather clinically driven patient assessment information related to the plan of care and discharge of the client and appropriately apply it to OASIS items specific the discharge by passing final exam with score of 80% or higher at the end of the on-line learning activity. 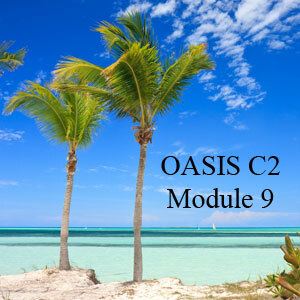 The OASIS C2 tool is often viewed as yet another required document to be completed by healthcare professionals. However, with knowledge and skill the OASIS C1 becomes an important tool in the process of patient assessment data collection, evidence based care planning and improving client outcomes. This module provides the home care professional with the knowledge and skills to gather the appropriate assessment information related to the plan of care and discharge of the client and appropriately apply it to OASIS items specific to the discharge document.